This property is dog friendly: All dogs must be registered at check-in, and a $100.00/per dog (plus tax) fee is required prior to check-in. Each guest who brings a dog must sign the Guest's Acceptance of Responsibility for the Canine Code of Conduct upon check-in.Please be advised that this vacation rental has adopted a policy of not allowing sport teams and/or players to stay at their property. If you are visiting Steamboat for a Triple Crown, Mountain Soccer, or Steamboat Classic Lacrosse tournament or event, please select another of our fine properties. We apologize for any inconvenience. This is a perfect spot for a family ski trip- we enjoyed the hot tub, grill, close location to gondola square and pet friendliness! This was a great house. Very close to the mountain. Shuttles take you everywhere you need to go and are very convenient for getting to the mountain. I highly recommend this location. We are so glad you enjoyed your stay! Please come stay with us again! Would stay here again, very comfortable! Thanks Paul. We look forward to hosting you again at Pioneer Ridge! 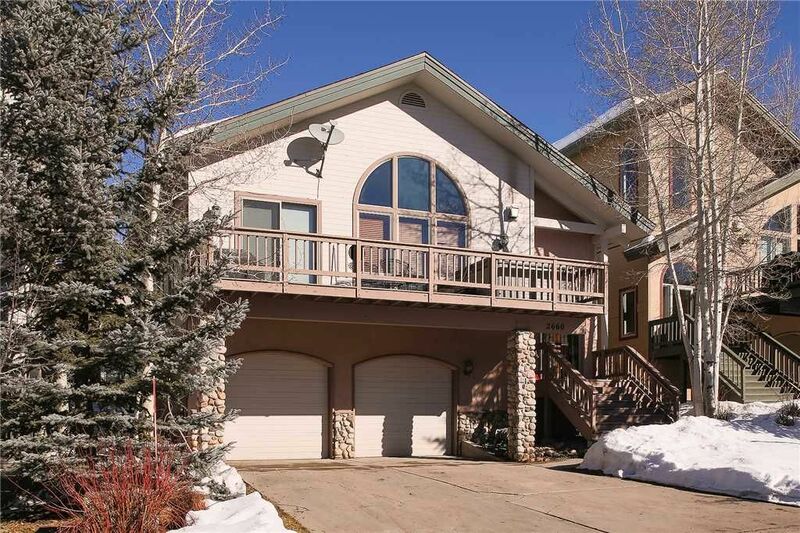 Very nice well equipped home, always stay with Pioneer when in Steamboat and have never been disappointed. Thanks Drew! We appreciate your review and repeat visits. We look forward to host you again! It was awesome!! Loved the location and the feel of being at a home! It was wonderful! We are already looking at coming back in a few months. Really enjoyed the hot tub and the size of the rooms. My family and I had a great time! Also thank you for allowing dogs. We love traveling with ours and she loved to sit out on the deck. We are elated to read that you and your dog were able to enjoy the Landings home. We look forward to you next visit at Pioneer Ridge! The house was great for our extended family group and for hosting a gathering for CMC graduates. No problems at all !